Shake, shake, shake....shake your Blooty! That song has been stuck in my head ever since I was introduced to the Paint Chip Pals. Blooty is the little blue guy with the pompadour. 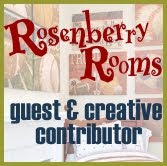 He's one of seven characters created by the fun and fab team of Andrea and Cliff Currie from HandMakeMyDay.com. Andrea, aka Ms.Craft-tastic is the glitter wielding champ alumni of TLC's Craft Wars, hosted by Tori Spelling. Cliff, her marital cohort in craft is the self proclaimed meat head that puts stuff together. In a wonder twins super power moment they gave birth (figuratively not literally...thank goodness) to seven little color ambassadors that they are hoping to share with the world. 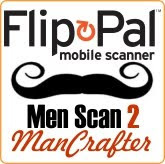 They've launched a Kickstarter campaign to crowd fund their new endeavor. 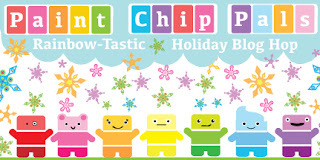 As part of the campaign a bunch of other creatives and myself have been asked to create something inspired by the Paint Chip Pals in the Rainbow-Tastic Holiday Blog Hop. So, while singing Shake my Blooty, in my off pitch glass cracking way, I crafted a little DIY that's perfect for kid's rooms, craft rooms or as a gift for that special teacher. 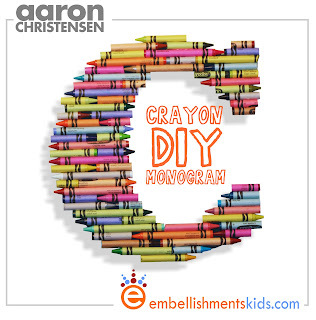 It's a monogram made out of crayons. What paint chip pal wouldn't love that? I've included the Paint Chip Pals and instructions to this Crayon Craft in an extended post about the trend of Super Color and the epidemic of color coma that comes with it. Jump to it and enjoy. If you love the power of hand made and support the entrepreneurial spirit, please consider pledging to the Curries Kickstarter campaign and watch your greens turn into a rainbow of colors. 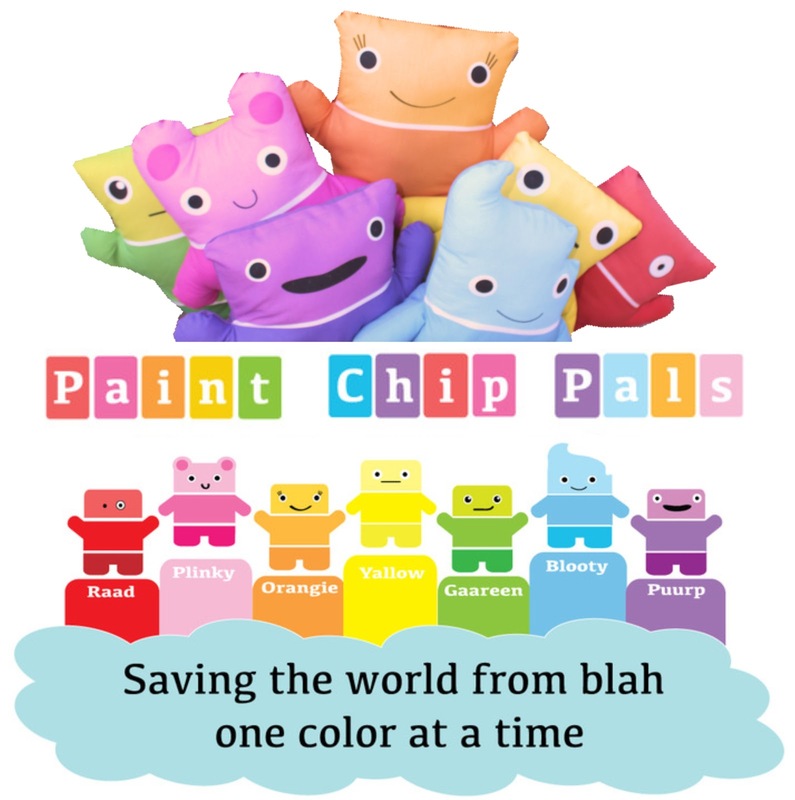 If you'd like a chance to win one of the Paint Chip Pals, drop me a comment below to be entered to win. 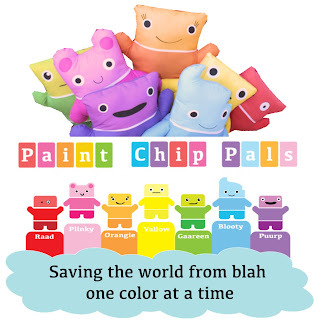 Who's your favorite Paint Chip Pal? What's your favorite trend color? I'm shaking my Blooty...what song comes to mind for your favorite?